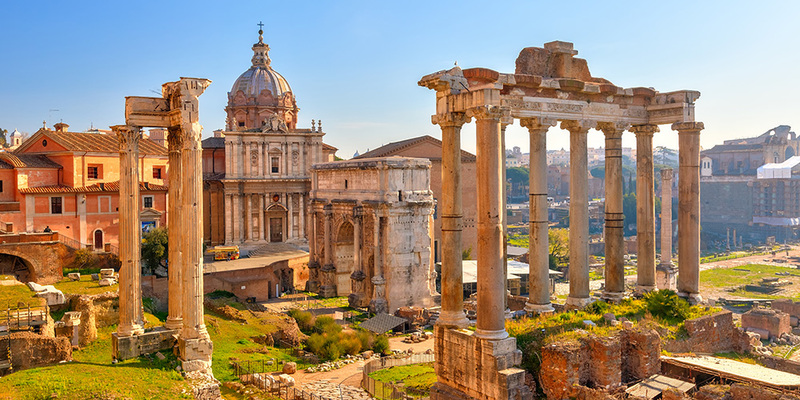 As one of Europe’s most famous and ancient cities, there’ll be no shortage of things to keep you entertained on a Rome holiday. With historic landmarks and hidden gems around each and every corner, it’s a city that’s best explored at leisure and on foot. Basing yourself at a campsite in Rome allows you to discover all the wonders of this historic metropolis at your own pace, while also enjoying some great day trips in neighbouring Tuscany. Aside from a whole host of authentic eateries to sample classic Italian cuisine and fantastic viewpoints like Aventine Hill, you’ll also find plenty of other attractions to peak your interest when camping in Rome. Vatican City - Built over the tomb of St Peter, Vatican City is the world’s smallest independent state. Visit St Peter’s Basilica and the Vatican Museums – including the Sistine Chapel – or take a tour of the extensive Vatican Gardens. The Colosseum - Built on the site of Nero’s Palace, this awe-inspiring structure was designed so tens of thousands of people could watch gladiatorial combat, wild animal fights and even mock sea battles. 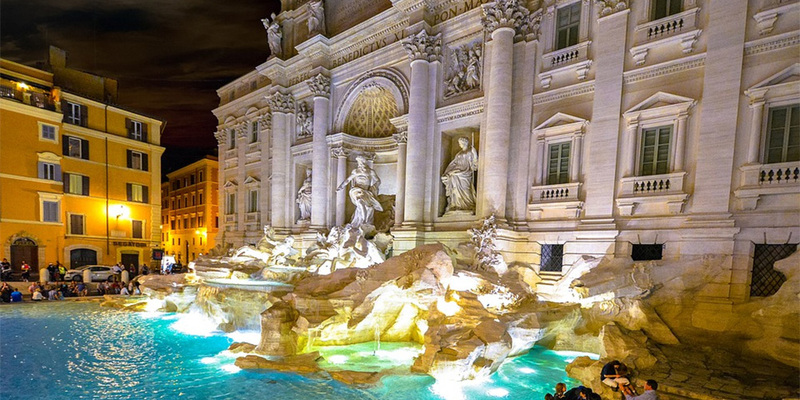 Trevi Fountain - The Trevi Fountain is dominated by the figure of Neptune in a sea-shell chariot. Throwing a coin over your shoulder into the water is said to ensure that you’ll return to the Eternal City. The Pantheon - Not far from the Trevi Fountain, the Pantheon has the world’s largest un-reinforced concrete dome. Built by the Emperor Hadrian, it’s a temple that was dedicated to all the gods and, later, to St Mary and all the martyrs. Cinecittà World - The largest film studios in Europe founded by Mussolini in the 1930s, Cinecittà has long been considered the home of Italian cinema. While it’s still very much in use, you can visit its impressive theme park to see recreations of sets from famous flicks in addition to riding thrilling rollercoasters. While you’ll find no campsites in the city centre, you won’t have to travel far if you do decide on a camping trip in Rome. Camping Fabulous — located between the city and the coast — is perfect for providing somewhere lovely to relax and rejuvenate after you’ve investigated the picturesque streets and iconic landmarks of the Eternal City. Alternatively, Real Village Roma is just a short distance from the Vatican as well as being surrounded by beautiful countryside. 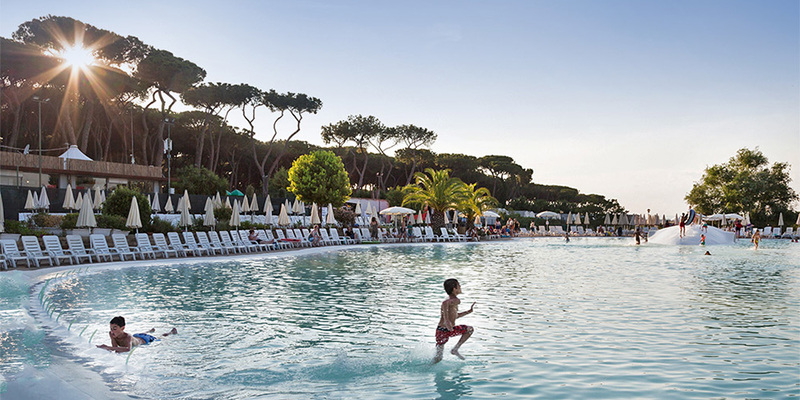 Stay in a cosy family-size mobile home and make use of the site’s serene swimming pools, gym and wellness centre when you’re not jaunting around Rome.